Having won a silver medal in a 110-m hurdles at the Beijing Olympics in 2008, David Payne looked forward to achieving Olympic gold in London. While training for the Olympic trials in 2011, Payne suffered a shin injury that did not resolve with conservative therapy. As he was facing a deadline to be at his best level and the particular shin injury that he had sustained takes a prolonged period to heal, he decided to have a stem cell therapy to get him at his highest functional level as soon as possible. Payne was unsuccessful in his bid to improve upon his silver medal at the 2008 games. However, it shows the extent that elite athletes are willing to go to help improve injuries especially when they are faced with a small window in which to recover and need to perform for an elite event such as the Olympics. 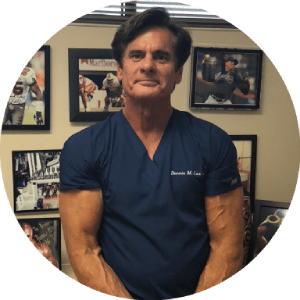 Dr. Lox points that having a small window of opportunity to play in a Super Bowl or participate in the Olympic games obviously will affect the amount of time that one would normally recommend for participating in a high-level sporting event after a regenerative procedure such as platelet rich plasma or stem cell therapy. These factors do not apply in most situations and one tries to allow the greatest recovery time for the best success results, but it is understandable Dr. Lox states that an elite athlete facing a time deadline will need to perform in a reduced amount of time if necessary, as in the case of the Olympics, it only comes around once every four years.